The time now is 19-April-2019 at 5:57pm. It's ten to sick and time for the evening spews. The official line up will be here - meantime, the speculations and confirmations. Do you have any questions about the Festival? Or any advice that you want to give? Bung it here. Got a spare seat to offer in your VW campler or maybe you need a lift from John O'Groats? This forum could help YOU! Fancy meeting people at the festival, that you've chatted to online? The this is the place to do your arranging. 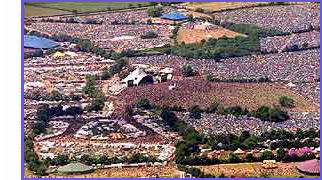 · Glasto 2019 ticket day today! This page was generated in 0.4102 seconds.